About one in every 12 Americans has asthma, and according to the Centers for Disease Control and Prevention, these numbers are increasing each year. Asthma can be a stressful condition to live with because a person with the disease may constantly wonder when their next attack will strike. Since episodes can come out of nowhere and are sometimes severe, asthma can take its toll on family members and caregivers. According to Rauno Joks, M.D., chief of the division of allergy and immunology at SUNY Downstate Medical Center in Brooklyn, N.Y., asthma caregivers face the ongoing emotional strain of making sure their loved one's asthma is adequately controlled. But there's help on the way. 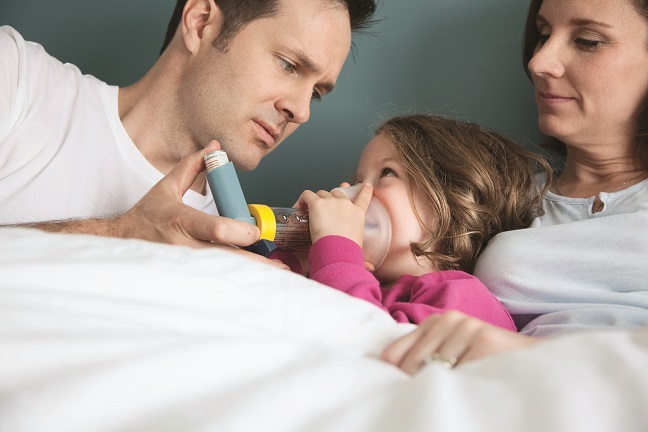 Get an accurate asthma diagnosis for your loved oneThe first step is identifying the problem. Asthma misdiagnosis is very common, and taking the wrong medications can have dangerous consequences. Go with your loved one to see an allergist, who can screen for asthma and help you consider further treatment. Educate yourself about asthmaKnowledge increases confidence and reduces stress. A number of organizations are available to asthma caregivers, offering practical, detailed information on how to manage asthma. Many also provide asthma support groups for both patients and caregivers. Caregivers should know exactly what medications your loved one is taking, what they're for and how they combat asthma. Also, caregivers must know how to use each asthma device correctly and make sure the person with asthma takes the appropriate medication. Know your loved one's asthma triggers"One of the main triggers of asthma is allergy," Dr. Rubaum says. He recommends an ImmunoCAP test, a blood test your loved one's doctor can perform that identifies allergy triggers. He also advises asthma caregivers to cut down on dust mites by using dust mite covers and regularly washing stuffed animals and plush blankets. If an item can't go in the washing machine, seal it in a plastic bag and place it in the freezer for three to five hours to kill dust mites. Also, you can buy hypoallergenic stuffed animals for kids. Organization is keyWith solid organization, many issues can be squashed before they escalate. "Keep good records of your loved one's asthma history, and make sure she gets her medications and goes to her doctor appointments on time," Rubaum says. Make sure your loved one is on an organized regimen so another caregiver can take over if you aren't around. Take care of yourselfTo offer quality asthma care, you need to take good care of yourself, too. You can reduce the stresses of caregiving by exercising regularly, getting adequate sleep and practicing relaxation techniques such as meditation and deep breathing. It's also important to deal with the fact there are some aspects of asthma care you can't control. Take some time for just yourself, while someone you trust temporarily fills in as caregiver.